Colorful skeins of wool have filled a classroom at Nassakeag Elementary School in the Three Village School District, as students have learned to use various looms to knit beautiful scarves for those in need. Working within the schools Looming Club and under the direction of adviser Linda Earls, the 25 student-members have been learning the craft since late October. Working on individual pieces, the club has already fashioned a number of scarves and a hat to date. This February, they packaged more than 20 of their creations and sent them to the Long Island Coalition for the Homeless. The club will continue to work on donations during each of their meetings, which will run through the month of March. 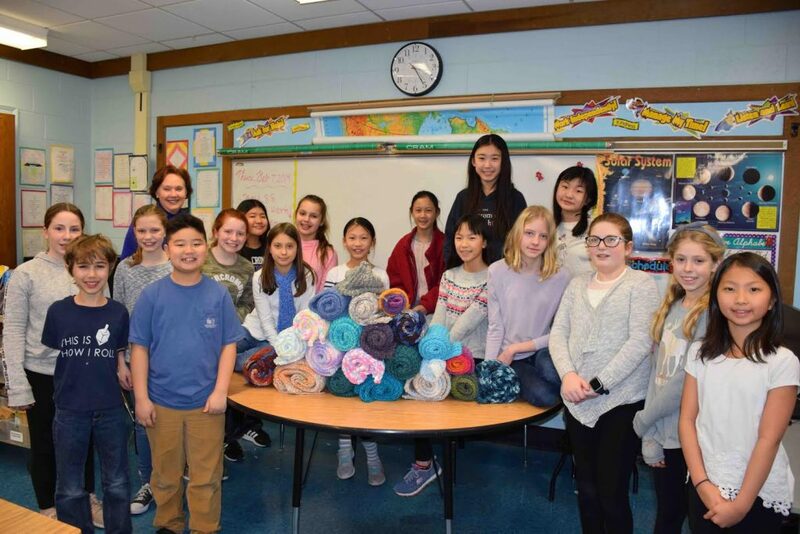 Photo caption: Nassakeag Elementary School’s Looming Club proudly displayed the colorful scarves they have made for the Long Island Coalition for the Homeless.